John Ballantyne was born in 1868 in Paisley, Scotland. He went into banking there, but in 1891 moved to Detroit to manage the credit office of R.G. Dun & Company (a predecessor to Dun & Bradstreet). He was also manager of the local branch of the Wilbur Mercantile Agency, and in 1909 moved to the Old Detroit National Bank to manage their credit department. He was elected vice-president in 1912. In 1914, Ballantyne started a new bank, the Merchant's National Bank, of which he was president, and later chairman. 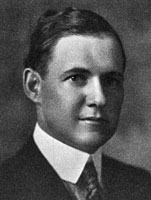 Ballantyne was also a close personal friend of both John and Horace Dodge, and in 1920, after the death of both brothers, Ballantyne was elected as director of the Dodge Brothers Motor Company. He was treasurer of the company, and facilitated the sale of the company in 1925. In 1929, the Merchant's National Bank merged with the Dime Savings Bank to form the Bank of Michigan, with Ballantyne as chairman. The bank merged a number of times in the early 1930s, and Ballantyne retired. In 1933, Ballantyne formed another bank, the Manufacturer's Bank of Detroit, and served as president. (Manuacturer's Bank merged with Comerica in 1992) Ballantyne remained president of the bank until his death in 1937. John Ballantyne lived at 2275 Chicago in the 1930s. Sidney Barthwell was born in Georgia and moved to Detroit when he was fourteen. He attended Cass Tech and then Detroit Technological Institute (the forerunner of Wayne State's College of Pharmacy), graduating with a degree in pharmacy. After working as a pharmacist for a few years, the drugstore he was employed at failed in 1933 during the height of the Depression. Barthwell took over the store, reopening it under his own name ("Barthwell Drugs"). With the addition of a soda fountain and an ice cream business, the store prospered. Barthwell opened more stores, and eventually owned nine drugstores and three ice cream parlors. He was the first African-American member of the Detroit Retail Druggist Association and president of the Booker T. Washington Business Association. An endowed scholarship at Wayne State University's College of Pharmacy bears his name. He died in 2005. Sidney Barthwell moved to 2035 W. Boston in 1949. Read an interview with Sidney Barthwell and a eulogy in the Congressional Record. Frank Blair was born in 1870 in Troy, Michigan, and educated in Birmingham. He worked at the Exchange Bank in Birmingham for a time, and then joined the office of the Auditor General for the State of Michigan. In 1905, he was appointed the state bank examiner, but resigned that year to become auditor of the State Savings Bank in Detroit. In 1908, he was elected to the presidency of the Union Trust Company, then one of the largest financial institutions in the city. Union Trust prospered under Blair's forward-thinking leadership (he was one of the very first financiers to underwrite commercial aviation projects). In 1928, Union Trust merged with the National Bank of Commerce, forming the largest financial institution in Detroit with Blair at the helm. The newly merged company needed a flagship building. Blair hired young architect Wirt Roland and charged him to convey the modern, warm, and trustworthy sensibilities of Union Trust. Roland designed a striking building making extensive use of color, both inside and out. Unfortunately, the Depression hit Union Trust hard, and the institution failed in 1932. One (ultimately unsuccessful) attempt at reorganization was the short-lived Union Guardian Trust Company, which gave its name to Blair and Roland's creation: the Guardian Building is now a National Historic Landmark. Frank W. Blair lived at 1716 W. Boston in the 1920s and early 1930s. Read about the Guardian Building from Historic Detroit or the National Register of Historic Places. Clarence Burton was born in California in 1853; he grew up in Hastings, MI, and graduated from the University of Michigan with a law degree in 1874. He began his career in Detroit as an examiner of titles in the Wayne County abstract office. He was a trustee of the Michigan Savings Bank, president of the Independent Telephone Co., and president of the Burton Abstract & Title Co.
Clarence Burton is now probably better known for his historical research and pursuits. During his lifetime, he amassed a library of tens of thousands of books, pamphlets, and manuscripts relating to the history of Detroit, of Michigan, and of the old Northwest. Burton donated his collection to the Detroit Public Library in 1915, and today it forms the core of the Burton Historical Collection. Burton wrote numerous books and pamphlets on the history of Detroit, including The city of Detroit, Michigan, 1701-1922; A Sketch of the Life of Antoine de la Mothe Cadillac, Founder of Detroit; and In the Footsteps of Cadillac. Clarence M. Burton lived at 121 W. Boston Boulevard from the 1910s until his death in 1932. Visit the Burton Historical Collection, or read a book about Clarence Burton. Harry Eberline was born in 1874 in Logansport, IN. When he was thirteen, his family moved to Fort Wayne, where he completed his education and started work as an office boy at Salominia Mining and Gas. There he worked his way up to the position of secretary as the business grew. Eberline moved on to become secretary-treasurer of WL Carnahan and Co, a wholesale shoe dealer, and invested in other businesses in the Fort Wayne area. In 1901, Eberline moved to Detroit, becoming a partner in and working as a financial manager for the Crowley Brothers Wholesale Dry Goods Company. Harry A. Eberline lived at 888 Chicago Boulevard in the 1910s and 1920s. Frank W. Engle was a management executive who worked during that time for Ford Motor Company and the Altas Brewing Company and who also managed the Great Lakes luxury liner, S.S. Aquarama. Frank also served as President of the Boston-Edison Association, while his wife Lillian served as Secretary of the Association, and edited a newspaper supplement devoted to the B-E area. Frank and Lillian were instrumental in moving the organization away from the "protective" housing codes of the 1940s into the historical-preservation organization of today. Frank W. and Lillian Engle lived at 675 W. Boston Blvd for ten years, from 1950-1959. Charles A. Finsterwald was born in Detroit in 1867. As a young man, he held positions as a clerk or salesman with various firms in Detroit. He moved to Wakefield, managing a men's clothing store there, then returned to Detroit where he organized the firm Fisterwald & Marx, selling groceries, hay, and feed. Finsterwald left the firm, moving to Ironwood to again manage a clothing store. He moved to Oxford. Michigan, and then Marion, starting businesses in clothing and farm machinery, before returning to Detroit in 1912. At that time he joined the Finsterwald Furniture Company, started by his brother Herman, as secretary-treasurer. In 1920, Charles started his own firm, C.A Finsterwald Co., selling wholesale carpets, rugs, and linoleum. Charles A. Finsterwald lived at 1239 Chicago Boulevard (now demolished), the home built for J. 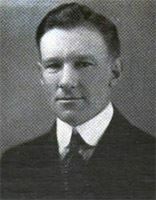 B. Webber, from the early 1920s until his death in the late 1930s. Elbert H. Fowler was born in Ontario in 1883. His parents soon moved to Chicago, where Fowler attended high school. 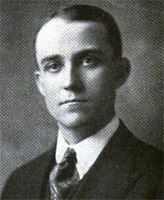 After graduation, he went to the University of Michigan, receiving a Bachelor of Arts in 1905 and a law degree in 1910. In 1909 he married Fannie Ptolemy of ann Arbor; the couple had two children. He entered private practice in Detroit, but soon turned to real estate, joining the Detroit Investment Company and developing a number of subdivisions in the city. Fowler was president of the Oakwood State Bank in Oakwood Michigan. In 1921, Fowler organized the Commercial State Savings Bank, which at the time was the largest bank ever organized in Michigan. Elbert H. Fowler lived at 899 Edison in the 1920s. Herman Finsterwald was born in Detroit in 1873. He began in the men's clothing business, working at firms in Detroit, Romeo, and Marine City. In 1909, he started the Finsterwald Furniture Company, and remained its president; he was joined between 1912 and 1920 by his brother Charles. Herman Finsterwald lived at 2265 W. Boston Boulevard from the 1920s until his death in the early 1930s. Wolf Himelhoch was born in 1845. In 1907, Wolf Himelhoch opened a clothing store, Himelhoch's, on Washington Boulevard. The store was successful, and eventually opened multiple branches in Detroit and its suburbs, and had offices in Paris, New York and Los Angeles. Wolf Himelhoch lived at 882 West Boston in the 1910s, and at 929 West Boston until his death in 1922. After Wolf's death, his widow Anna moved to 1645 Chicago. Ernst Kern was born in 1875 in Germany and emigrated to Detroit when he was eight. Upon arriving in Detroit in 1883, Ernst's father established The Ernst Kern Dry Goods Company. When his father died in 1901, Ernst and his younger brother Otto took over the store, with Ernst as president, a position he held for nearly 50 years. Under their watch, the store grew to a large department store, and they expanded into adjacent buildings. The Kern brothers erected a new building in 1929 on Campus Martius, which is the current site of the Compuware headquarters. Compuware reinstalled the old "Kern clock" in front of their new building. In 1916, Kern moved into a home at 121 Edison, where he lived until his death in 1948. In 1883, Otto Kern's father emigrated from Germany to Detroit, and established The Ernst Kern Dry Goods Company. When his father died in 1901, Otto and his older brother Ernst took over the store, with Ernst as president and Otto as secretary/treasurer. Under their watch, the store grew to a large department store, and they expanded into adjacent buildings. The Kern brothers erected a new building in 1929 on Campus Martius, which is the current site of the Compuware headquarters. In 1948, Ernst passed away and Otto took over as president of Kern's, buying out his brother's stock. Otto Kern lived in two Boston-Edison homes in the 1920s: 1244 W. Boston Boulevard, where Emil Amberg later lived, and 736 Chicago. Edward Kinsel founded the Kinsel Drug Store, the city's first twenty four hour drug store, in 1894. The original store was located at the corner of Griswold and Michigan Avenues. In 1912, Kinsel moved to 130 Chicago, where he lived until his death in 1928. Sebastian S. Kresge was born in Pennsylvania and attended Eastman Business College. After graduation, Kresge worked as a traveling salesman. In 1897, Kresge and a partner started a five-and-dime store in Memphis, Tennessee. Two years later, Kresge branched out on his own and founded the S.S. Kresge Co. The company had two stores, one in Detroit. The company grew quickly, and by 1912 Kresge owned 85 stores and decided to incorporate the company. Two years later he built a spectacular mansion at 70 W. Boston Boulevard. 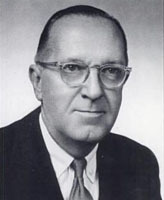 Kresge continued to steer the company that bore his name; in the 1970s it changed its name to Kmart. In 1924, Kresge was worth $375 million dollars. In that year he established the Kresge foundation, whose mission was simply "to promote the well-being of mankind." By the time of his death, Kresge had given the foundation over $60 million. Sebastian Kresge lived at 70 W. Boston from 1914 until the 1920s. Read about S S Kresge from the Detroit Historical Society and K-Mart. Gilbert Miller was born in Richmond, MI, in 1876. In 1912, he established a small jewelry store of only 240 square feet. By 1921, he was making over $1,000,000 per year, and moved his store into a 30,000 square foot retail space. The increase was largely due to his gift for advertising and his no-strings "square deal" money-back guarantee. Gilbert Edison Miller lived at 948 Edison in the 1910s and 1920s before moving to 2205 Chicago Boulevard, where he lived until the early 1940s. Charles Munz was born in Germany in 1864; in 1881 he emigrated to the US and settled in Detroit. In a few years, he started a business manufacturing his patented extension tables, which grew into a highly successful furniture manufacturing business. 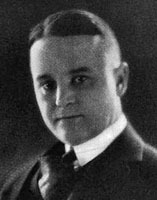 Munz was also involved in the early movie theater business as president of the Palace Theatre Company; he built the Michigan Palace. In 1913 MInzmoved to 610 Chicago Boulevard, where he lived until the early 1930s. Michael O'Brien was born in 1877 in Osceola, MI. In 1893 he graduated from high school in Calumet and went into the field of insurance, handling life insurance for Northwestern Mutual. In 1907 he established headquarters in Laurium and became president of the First National Bank of Laurium. In 1910 he came to Detroit as the vice president of Detroit Life Insurance Co., and in 1911 assumed the title of president, leading the company to a steady growth. When he arrived at Detroit Life, the company had less than $50,000 of life insurance in force; by 1921, that number had increased to over $24,000,000. Michael Edward O'Brien lived at 2244 Edison in the 1920s and 1930s, where Isadore A. Berger later lived. John J. Ramsey was born in Detroit in 1872. He began his business career as a bookkeeper, and in 1903 joined Packard Motor Company as general auditor. In 1911 he became secretary-treasurer of E. R. Thomas Motor Company, intil that firm was purchased by the US Motor Co. He worked at various automobile-related manufacturers until 1922. when he helped organize the Detroit Automobile Inter-Insurance Exchange, where he remained until the 1940s. John J. Ramsey lived at 843 Longfellow from the 1910s through the 1940s. Louis Robinson's father, David, emigrated to the United States in 1888. David started a number of businesses, including a department store and Robinson Furniture, which he opened in partnership with his son Louis. Louis Robinson lived at 2522 Chicago Boulevard in the 1930s. Joseph A. Roe was born in Toronto, Ontario in 1868; the eldest of 15 children. In the 1890s he moved to Detroit and there married Josephine Howe. He was employed as the local manager for the Crane Company (a plumbing firm) for many years, and participated in many Catholic organizations, particularly connected with the Christian Brothers education. Roe was also instrumental in the construction of the Cathedral of the Blessed Sacrament. Joseph Roe built the house at 630 W. Boston in the early 1910s, and lived there until his death in 1936. Meyer Rosenbaum founded his jewelry store, called simply "Meyer Jewelers" in 1920. He opened a downtown store in the David Broderick Tower in 1936. Rosenbaum became famous for purchasing the Moon of Baroda, a large canary yellow diamond, in 1943, and later giving it to Marilyn Monroe. In 1956, the firm purchased the T.B. Rayl Building (at the corner of Woodward and Grand River) and invested two million dollars in renovating the building into a flagship store and corporate headquarters. The firm remained in the building until it folded in 1983. Meyer Rosenbaum lived at 675 W. Boston in the 1940s. Robert M. Ryan was born in 1886 near Lansing. At age eighteen he became an agent for the Mutual Life Insurance Company in Lansing. 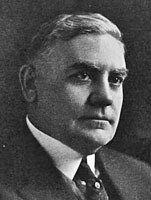 In 1910 he was appointed branch manager if the Equitable Life Insurace Society, and in 1913 moved to Detroit to assume the role of state manager. He was later appointed agency manager. Robert M. Ryan lived at 1999 W. Boston Boulevard from the early 1920s until his death in the 1940s. Frederick W. Sanders was born in 1895, the grandson of the confectioner Fred Sanders. The elder Fred Sanders had built a business selling selling candy, fudge toppings, baked goods, and light lunches from his ice cream shop, building Sanders into a Metro Detroit institution. Frederick W. went into the family business, succeeding his uncle John Miller as the president of Sanders in 1954. The company bearing his and his grandfather's name still exists. Frederick Sanders lived at 1937 W. Boston Boulevard in the late 1920s and early 1930s. Read about the history of Sanders, or read Sanders Confectionary, a book about Fred Sanders and his company. Siegel was born in 1860 in Germany. In 1876, he came to the United States, beginning his business career in Selma, Alabama. He moved to Detroit in 1881, managing the women's apparel department downtown store. In 1895, he purchaced the store and changed the name to the B. Siegel Company. The company prospered, selling upscale women's clothing and furs. Under his leadership the company became the largest women's clothing store in the Midwest, with seven stores in the Detroit metro area. In 1915, Siegel moved to 150 W. Boston, where he lived until his death in 1936. Eugene Siegel was born in Germany in 1878, the son of Jacob Siegel. The family emigrated to the United States in 1885 and settled in Detroit. After finishing his education, Eugene joined his father's firm, the American Lady Corset Company, and in 1905 was named treasurer. He later inherited the presidency of the firm from his father. Eugene Siegel lived in the home his father built at 51 W. Boston Boulevard from the 1920s through the 1940s. Jacob Siegel, Benjamin Siegel's cousin, was born in Germany in 1842 and emigrated to American in 1885. He founded the American Lady Corset Company, a business he owned until his death in 1924, after which it passed to his son, Eugene. In 1919 he built a home at 51 W. Boston Boulevard, where he lived until his death. Charles Hugh Stevenson was born in Snow Hill, Maryland in 1869. From 1891 to 1909 he worked at the United States Fish Commission, authoring a number of papers and books. In 1897 he received a law degree from George Washington University. In 1909, he married Elizabeth Helson of Detroit and moved to the city. Stevenson founded a real estate company in partnership with his brother and father-in-law, and in 1913 the company built the Stevenson Hotel (now the Milner Arms). Charles H. Stevenson lived at 61 Edison from the early 1910s to the early 1920s. Frank C. Teal was born in Rochester, New York, in 1864. He studied for a technical education, and in 1889 came to Detroit to work for the Brush Electric Company. Only two years later, Teal founded his own independent electrical supply company, the Frank Teal Co. He married Carolyn B. Fox in 1897, with whom he had one daughter, Theodora. Carolyn passed away in 1908, and in 1912 Teal married Belle Rogers. Soon after, the couple built a home at 872 W. Boston, where they lived together until Frank Teal passed away in the 1930s. Belle Teal remained in the house until the 1940s, after which it was sold to Charles C. Feinberg. Carl B. Tuttle was born in Corunna, Michigan in 1882. He joined the S.S. Kresge company, founded by Sebastian Kresge, in 1899, working at it's very first store as a maintenance man. He rose through the ranks, and by the 1910s was the secretary and treasurer of the firm, and was elected to its board of directors. Tuttle stayed with Kresge until his retirement. He died in 1970. Carl B. Tuttle lived at 859 Longfellow on the 1910s and 1920s. Andrew Jay Weatherwax was born in 1877 in Jackson, Michigan. He attended the University of Michigan and West Point, after which he joined his father's machining and foundry firm. Weatherwax married Emma Gillette in 1898; the couple had two children before Emma passed away in 1907. In 1910, Weatherwax remarried, to Anna Johnson, and had two more children. In 1911 he began his own business, the Central Distributing Company, distributing factory supplies. He was also president of Acme Welded Pipe and Coil, manufacturers of refrigerator equipment, and eventually joined H&H Tube and Manufacturing. He died in 1942. Andrew Jay Weatherwax lived at 1419 Edison in the 1910s and 1920s, in the same house William Pitt Putnam lived in later. Born in Germany, Edward Wagner came to Detroit in 1865, joining his brother John. In 1869 the two, along with a third brother, Christopher, founded Wagner Bakery, which became one of the largest in the city of Detroit. Edward was president of Wagner Bakery from its founding until his retirement in 1924. Edward Wagner lived at 1496 Boston Boulevard until his death in the early 1930s. John Wagner was born in Germany and immigrated to the United States just prior to the Civil War. In 1869, along with his younger brothers Edward and Christopher, he founded Wagner Bakery, which became one of the largest in the city of Detroit. In 1911, John Wagner had a house built at 859 W. Boston, but died before he could take up residence. J. B. Webber was Joseph L. Hudson's nephew. When Hudson died in 1912, he left the majority of stock in Hudson's Department Store to Webber and his three brothers. James became one of the merchandise directors at the store, along with his brother Joseph. Under his and his brothers' leadership, Hudson's became a merchandising giant. In 1943, James and his brothers established the Hudson-Webber Foundation for charitable works. J. B. Webber resided at 1239 Chicago in the 1920s (later the home of Charles and Herman Finsterwald), a home that was destroyed when the Lodge Freeway was built. J. L. Webber was Joseph L. Hudson's nephew. When Hudson died in 1912, he left the majority of stock in Hudson's Department Store to Webber and his three brothers. Joseph became one of the merchandise directors at the store, along with his brother James. Under his and his brothers' leadership, Hudson's became a merchandising giant. In 1943, Joseph and his brothers established the Hudson-Webber Foundation for charitable works. J. L. Webber resided at 1477 Edison from the mid-1910s until his death in the 1970s. Robert Roy Williams was born in 1882. In 1908, he joined the S.S. Kresge Company, founded by Sebastian Kresge. He was the purchasing manager, then vice-president, and was elected to the board of directors in 1915. In 1938, be became president and general manager of the company, a position he held until his retirement in 1946. Williams remained on the board of directors after his retirement. He died in 1956. R. Roy Williams lived at 1261 Chicago from the 1920s through the 1950s.